Harm Reduction: A non-12 Step approach to recovery. Harm reduction is a form of psychotherapy that reaches out to addicted individuals or even non-addicted individuals in a non-judgmental way, using an alternative to the 12 Step approach to recovery. The harm reduction program does not mandate that patients by into the view that addiction is a disease. The harm reduction program recognizes that people have their own inner strength and therapists with focus on that strength to motivate clients into making positive lifestyle changes. Most people in one way or another have even practiced harm reduction without even knowing it. Perhaps they decided to slow down on their drinking, or made the determination that they couldn’t take as much drug as they have been used to, but no matter what the exact thought process, that’s harm reduction. Many approaches to addiction treatment stress the absolute necessity to not use. Well, there is using and then there is using. That is, one person can have a drink and not have to take another one, while the other guy sitting right next to him has to have four or five. It’s not a matter of not drinking it’s a matter of controlling your behavior. Harm reduction therapy endeavors to get the individual on the path of less use, more responsible use, and get free of the grips of addiction. Success is not measured in terms of abstinence, but in terms of progress towards a safer life. Americans like to have it all and have it right now. Ask anyone who has struggled with substance abuse and you’ll soon realize that people don’t just decide to up and quit. Seldom does a person make that big step and everything turns around. Most people have to take smaller, baby steps, and make changes incrementally. A heavy user isn’t going to just stop using, but he/she can take steps. The alternative viewpoint would suggest that the flaw in the harm reduction model is that a heavy user cannot lesson the amount he/she take. But human psychology would suggest that most people would be inclined to quit incrementally, so the debate wages on. Harm reduction is a process, much the same way that 12 Step is a process. A dividing point between the two is that harm reduction does not require abstinence. The therapy can start while the client is still using. Many treatment programs have a specifically designed regimen that patients/clients must follow. Harm reduction, however, follows a different path, that being that people should do whatever works to get themselves in a better place. For some that means not using at all, while others have to learn how to control their impulses and stop at a given point. For example, before going to dinner Joe will drink five glasses of water. Why? When he gets to the restaurant, he doesn’t eat as much. That’s a strategy. A person might keep a notebook and record every drink they take. Another might have a trusted friend along to say when it’s time to stop. Whatever the strategy, it is done with the understanding that they are working towards an end, one step at a time. Let’s face it, everybody is different. Harm reduction can be amazingly effective, if the person allows the process to unfold and doesn’t circumvent it at every turn. When a person decides for him/her self that they are going to change, change has a much better chance of becoming a reality. That’s really the key. Some might attack the problem, while others ponder and debate whether they buy into the program or not. The goal is to find something that works. Some of the thinking behind harm reduction lies in the fact that much of the work in recovery comes after a person has made the decision to change their lifestyle. A person may have made the decision that change is necessary, but did not act on it. Once they have decided to act, then they may begin to take action in stages, sort of a slow approach to the process. Once a person takes decisive action, then change begins to occur. Of course, once the change is put into action, the person has to maintain the change, and part of the problem with addiction, regardless of the treatment techniques used, is relapse. 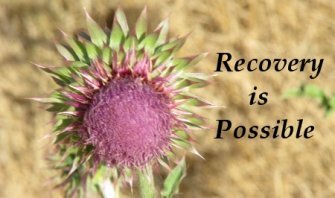 Because any treatment is a process, relapse is a part of that process. However, harm reduction people do not call this relapse, mainly because relapse is considered negative. They just call it “a lapse” and encourage the person to get back on track. Harm reduction tries to eliminate the stigma of drug addiction or alcoholism. If a person comes into a hospital with a broken leg, for example, there is no negative stigma. The staff gets to work to help the patient begin healing. But if an alcoholic comes in needing medical intervention, there’s a stigma there and that’s what harm reduction tries to avoid. There is enough shame and guilt to go around and harm reduction tries to get the person back on the right path without the negativity. Whether it’s harm reduction or 12 Step, the important point is a person getting better. There are a variety of approaches, some more successful than others, but like the old saying goes, “Whatever works for you” is the way people need to go to overcome the affliction of addiction. Comments for Harm Reduction: A non-12 Step approach to recovery. I find it so sad this article was approved because if someone indeed is trying to kick crack through harm reduction is a huge joke. Been there don't do this it's people trying to invent new ways to stop using drugs. Bloody hell people quit when they want to die hopefully get some help. There is no help or logic to your bible size article. Hey everyone's allowed their opinion and I'm a gambler an all my odds are saying you've never gone through this successfully, just a ugh never mind people just reach out, not with them please! Yes I am a recovering heroin and cocaine iv user of 20 years! people the biggest part of recovery is admitting you have a problem and are you ready to quit? This finally describes what i have been trying to get people to understand for years. This is a fantastic way to look at treatment. Relapse will happen and you can either hate yourself to death, or further relapse and shame, or accept it as a decision made and decide to do better next time. People blow others' relapses up so big that the person barely has room enough to see what went wrong and what they can do differently next time. This is necessary to produce the real and lasting changes the family and friends were expecting the first go around. Bottom line appreciate every "good" or better decision that an addict makes that keeps them alive just a little longer. Ex: a heroin/meth addict that joined a methadone clinic to eliminate the need for heroin but still uses meth. The clinic should be a celebrated decision even though others don't understand the point if still using methadone. The chance of overdosing is greatly reduced as well as criminal behavior because obtaining the drug is no longer a life or death situation. The fact that an addict chooses to make an effort at all should be the best thing that could happen to them. A person only changes when they want to, so forcing actions from someone is never real and will never produce true and lasting change.